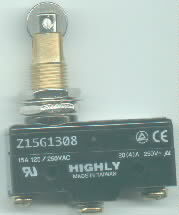 All varieties of our pullchain ceiling fan speed switches are labeled 6A 125VAC or 3A 250VAC. 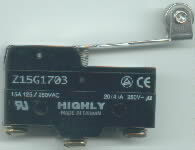 "A" - BLACK wire in "L" with riveted-together switch labeled "L-1-2-3" (Counter-Clockwise): use ZE-268S1 to replace . 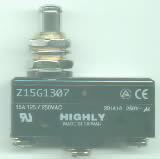 "B" - BLACK wire in "L" with snap-together switch labeled "L-1-2-3" (Counter-Clockwise): order ZE-268S1 . "E" - BLACK wire in "3" with riveted-together switch is labeled "L-1-2-3" (Counter-Clockwise): ZE-208S-A04 order ZE-268S2. 1) Turn power to your fan off at circuit breaker (or fusebox) so you don't risk electrocution while repairing your fan. 2) Do not cut wires. (Multi-strand wires are twisted and soldered together to make them "solid" so they stay in the switch). 3) Make notes about what color of wire fits in each hole of old switch (put number tags on each wire). . . . . Hunter ceiling fans may be: L=Black, 3=Green, 1=Grey, 2=Brown (your color-positions may vary). . . . . Harbor Breeze ceiling fans may be: L=Black, 3=Purple, 1=Grey, 2=Brown (your color-positions may vary). . . . . Hampton Bay ceiling fans may be: L=Black, 3=Grey, 1=Purple, 2=Brown (your color-positions may vary). . . . . Hampton Bay alternate ceiling fan colors: L=Black, 3=Yellow, 1=Red, 2=Purple (your color-positions may vary). . . . . Casa Blanca fans (record your own color-positions). . . . . Westinghouse fans (record your own color-positions). 4) Insert large sewing needle beside a wire; lift eye of needles to push down the spring clip that holds wire in switch, pull wire out. 6) push wires into appropriate holes of replacement switch; (match wire-colors to the proper switch-holes as noted in step 3) above. Re-Assemble fan. 7) Turn power back on. If your prayers have been answered and you have done everything right: Your fan should now work properly. 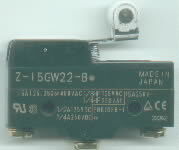 ZE-268S2 replaces Westinghouse 77020 & KTE3089T Circuit B labeled L-1-2-3 (CCW) with Black wire in "3"
You probably need a ZE-268S6 if a switch from Home Depot, Menards, or Lowes doesn't work right! 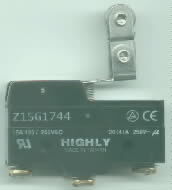 ZE-268S6 replaces Well Tec, Wu Pin, Shine Top 3-speed 4-Hole Fan Speed Switches labeled L-3-1-2 (CCW) with black wire in "L"
FOUR SPEED Ceiling Fan five-wire (five-hole) Pull Chain Speed Switch with Black wire in "L"
Only one variety can be identified by the physical appearance. The other two varieties must be tested electrically or physically torn apart to determine which you need. 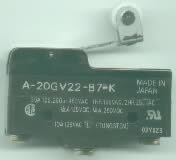 Please read the descriptions for ZE-208D-01, ZE-208D-J02, and ZE-208D-J03, then look at the illustrations below to see if you can determine which switch you need. 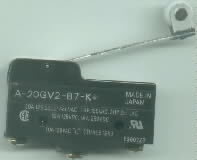 Ken's Electronics can test your old switch for $4.95 if you still can't identify it yourself. many other channel selector switches in stock--some are "one-of-a-kind"
Continously Variable Motor Speed Control: 30582 & 30584 can vary the speed of sewing machine and small electric drill motors. 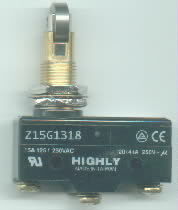 ZE-268S1 replaces Zing Ear ZE-208S E89885 Harbor Breeze 33905 pull chain fan 3-Speed switch labeled L-1-2-3 (CCW) with black wire in "L"
Revised November 2015; 2012 kt; Copyright © 1997, 1999 Paraland, All rights reserved.